Joget Workflow is an open source rapid application development platform that allows developers and non-developers to visually build enterprise web apps for cloud and mobile. Users are able to design, configure and build their apps and automate their workflows with the web-based drag and drop tools (Process Builder, Form Builder, Datalist Builder and Userview Builder). The platform's plugin architecture allows developers to extend its features and functionalities, or develop additional plugins to integrate with other systems. Ready-made apps and plugins are available for download from the Joget Marketplace. Joget Workflow is available on-premise and can be downloaded directly from the Joget website. Alternatively, users can subscribe to Joget Workflow On-Demand, a subscription based service that offers Joget Workflow Enterprise Edition on the cloud. It's really easy to use Joget to implement the workflow applications. The UI is simple and user-friendly enough for non-technical user. Also, the license price is not high and it's value for money to have Joget Workflow. But, the development guide/sample posted in Joget Community is not enough. It's better to have more details/samples for complicated features. Joget is used as a "Swiss Army Knife" which means that all Non-ERP apps we develop are based on it. We have not get disappointed and the our "Solutions range" is getting bigger and bigger allowing us to provide quick professional solutions to the Business.It is easy to use and has many built-in tools. The support is available and provides fast responses. We could quickly replace a number of smaller manual processes with Joget solutions that lead to us saving much time and improved our accuracy relating to these greatly.Intuitive and easy to use whilst creating the processes. Users also found it easy to adapt to using this software making training quick and easy. Standard Package - $ 3 per user/month. Minimum 30 users. Additional users in packs of 5 users up to 10 users. Please contact Joget for on-premise enterprise edition and large enterprise clustering edition pricing. On-premise Enterprise Edition comes with 3 users free. - Visual Application Development: Joget Workflow allows users to rapidly build full-fledged apps using a drag-and-drop, wizard-style approach. Being a web-based platform, it's easily accessible to both technical and business users to build and modify apps using a web browser. - Time to Market: Time to market is greatly reduced, where custom apps tailored to an organization's needs can be built in a very short time. More importantly, it allows for easier long term maintenance of apps, even when teams and people change. To further accelerate the time to market, ready-made apps and plugins can be downloaded from the Joget Marketplace. These apps can be used as a basis for customization to individual needs. - Mobility: Joget Workflow enables users to access apps on the go. Apps built on the platform are automatically optimized on mobile devices either through a mobile web browser, or via the Joget Workflow Mobile App downloadable from the Apple App Store and Google Play Store. - Integration and Extensibility: The platform is fully extendable using its plugin architecture. Functionality in all areas (processes, forms, user interfaces, etc) can be extended via plugins which can be custom built or downloaded from the Joget Marketplace. The platform also provides APIs for integration with external systems. Current available integrations include Google Apps for Work, JasperReports, Slack, Amazon S3, etc. - Open Platform: Joget Workflow is an open platform that supports many different kinds of deployment options depending on need. With its open source core, Joget Workflow works with various operating systems (e.g. Windows, Linux, OSX), application servers (e.g. Apache Tomcat, IBM Websphere, Oracle Weblogic) and databases (e.g. MySQL, Oracle, Microsoft SQL Server). Joget Workflow can be installed on-premise with options for clustering, or deployed on the cloud using Docker or OpenShift. Joget Workflow On-Demand offers an Application Platform as a Service (aPaas) where users can subscribe to a hosted platform on the cloud. Below are some frequently asked questions for Joget Workflow. Q. What type of pricing plans does Joget Workflow offer? Q. Who are the typical users of Joget Workflow? Q. What languages does Joget Workflow support? Q. Does Joget Workflow support mobile devices? Q. Does Joget Workflow offer an API? Yes, Joget Workflow has an API available for use. Q. What other apps does Joget Workflow integrate with? Q. 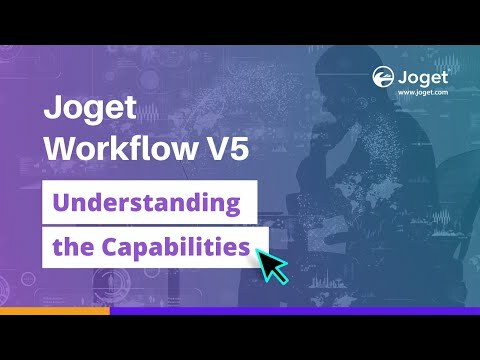 What level of support does Joget Workflow offer? Q. Which apps is Joget Workflow compared to most often?